Apart from the free Bloody Palace update that Capcom will launch in April, there are no additional DLC plans for Devil May Cry 5. This news comes courtesy of Producer Matt Walker, who addressed future DLC plans in response to a fan inquiry on Twitter. Walker’s comment seems pretty straightforward. However, it may contradict Director Hideaki Itsuno’s statement from a few weeks ago, where he noted that it’s possible more playable characters may arrive in the form of DLC, beyond the core game’s three. Of course, things are likely to have changed between now and earlier this year when Itsuno’s words surfaced. Yet, since Itsuno never outright promised such content would go live post-launch, perhaps there is little to read into the seeming contradiction. 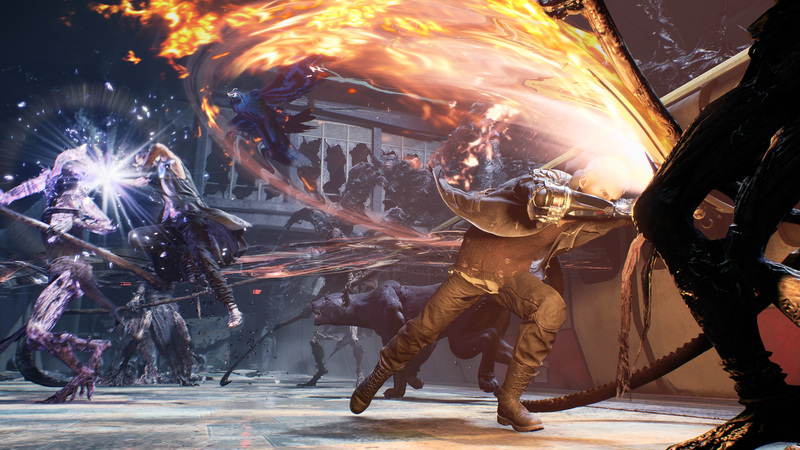 Regardless of whether post-launch DLC is on the cards, Devil May Cry 5 players should have plenty of content to sink their teeth into. This will be especially true once the free update for Bloody Palace goes live in April. Similar to how the mode works in other Devil May Cry entries, Bloody Palace will pit the player against a slew of enemies and bosses across a number of levels, or floors. How many floors will feature this time around is currently unknown, but the franchise’s previous two installments saw players surviving upwards of 101 floors in the Bloody Palace mode.